Our team of tree removal experts have been providing services in the Minnesota area for several years. 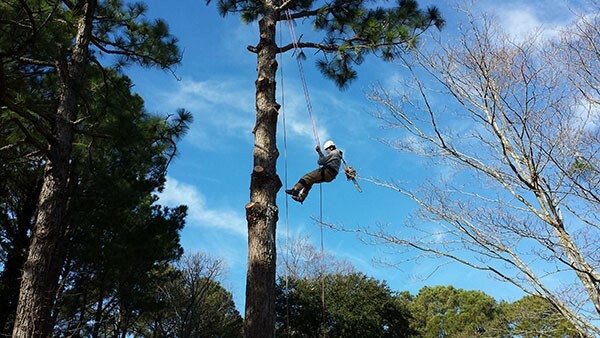 We are known for our ability to carefully and safely remove trees from properties. We use a special truck to help us access these tall trees and take care of them in no time so that our clients are not stuck waiting to have these unwanted trees removed. We consider ourselves the best tree removal experts in Minnesota for a few different reasons. For example, we only use the best equipment available. We have taken the time to research our options and have invested in high-quality equipment that will make it easier for us to complete the tasks for our clients in a timely manner. Our team members have received extensive training and know how to carefully complete different services while ensuring the safety of everyone else around them. Our owner takes the time to oversee every single project, making sure these projects are completed on time and correctly for the clients. Because of hardworking team members and our excellent customer service, we have managed to satisfy customers. In fact, many of our customers have been kind enough to leave positive reviews about the experiences they have had with us. When you have questions, comments, or even some serious concerns, a team member will gladly get back to you to discuss everything with you. We believe in following the rules, so you can expect us to remove trees while following the national guidelines and the state guidelines that have been set. Aside from removing trees, we can help with the process of removing unwanted stumps that have become eyesores for homeowners. If you are in Plymouth, Minnetonka, New London, Spicer or any of the other areas throughout the state of Minnesota, we can help you with the tree removal process. We work on a bucket truck that allows us to get to the highest point of the tree, cutting down branches as we start the removal process. Having the convenient truck available to us means that no job is too big for us to handle. By choosing to hire our company, you will know that you are working with a company that is licensed and insured. If you happen to have an emergency going on and you need to have a tree removed quickly because it is slanting and posing a threat to your home or vehicle, we will help. Our skilled team members put forth the effort to complete the projects assigned to them, even if those projects are tedious and challenging. If there is an emergency, we make sure that emergency is at the top of our to-do list because we want everyone to remain safe. We have managed to build a strong and positive reputation in the area and we will continue to strive to make sure our clients are completely satisfied. 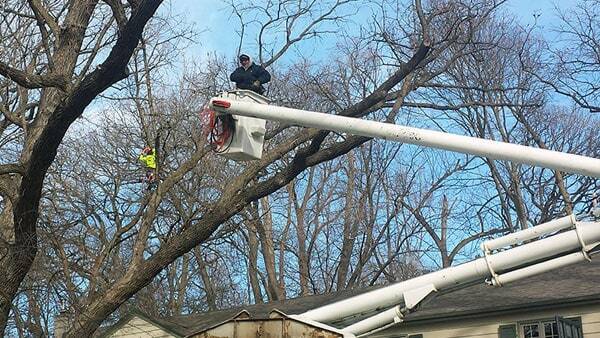 We want to prove to you that we are the best tree removal professionals in the Minnesota area. We offer the best services at reasonable rates and we use the right equipment to get the job done. No matter the size of the job, you can count on us to get it done with a smile.